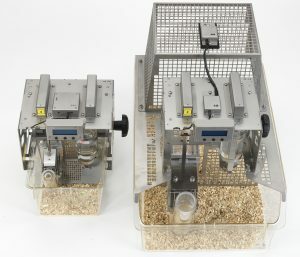 Front view of the mouse system. Two high precision scales weigh constantly the bottle and the food container. 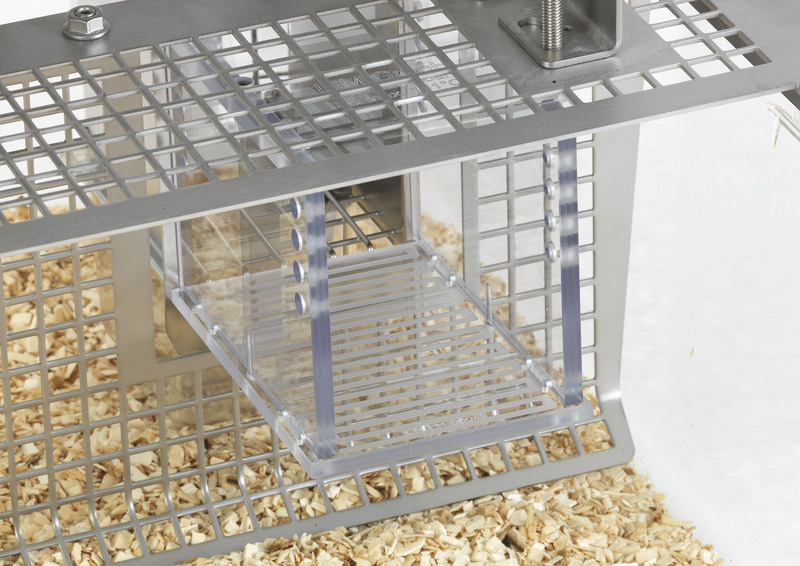 The animal stays behind the vertical lid in the rear part of the cage. Rear view of the mouse system showing the home cage of the animal. 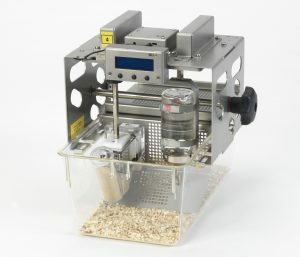 Side view of the mouse system. 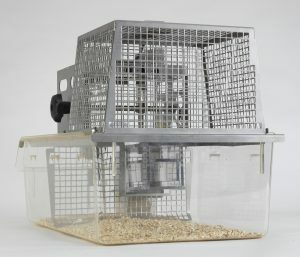 Home cage area on the left side of the cage. 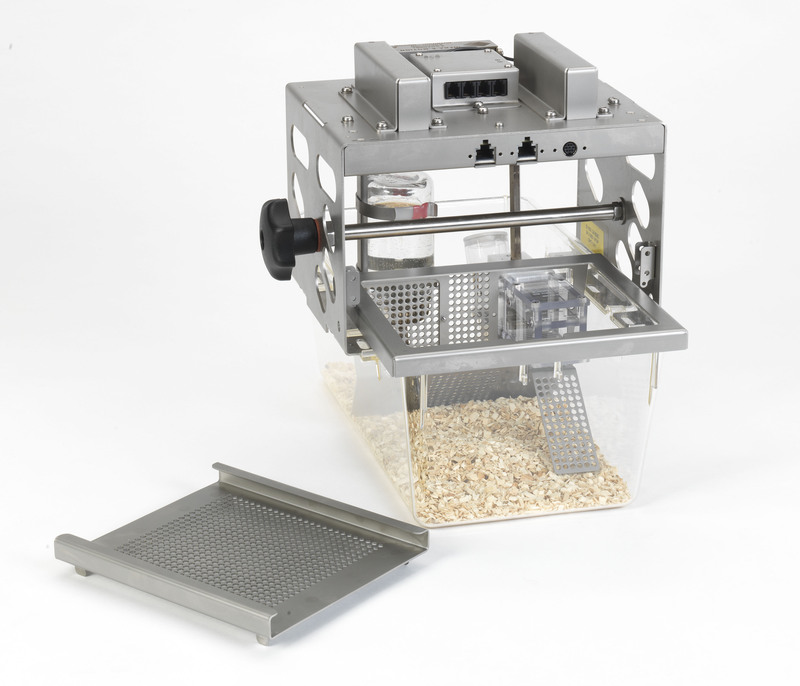 Rear view of the mouse system with the home cage lid off. 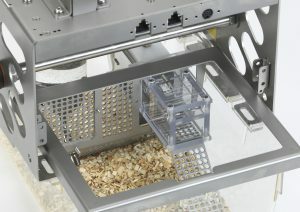 View inside the mouse home cage area. 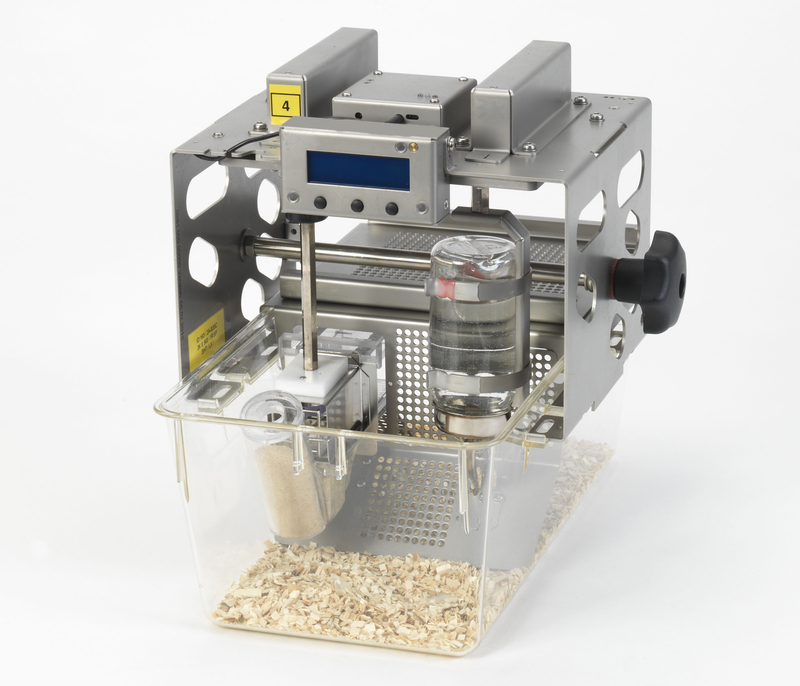 The perspex chamber is not mandatory. 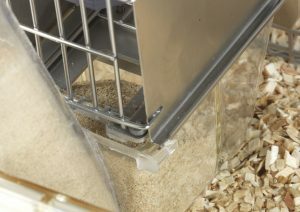 Close up of the mouse food container. Using pellet powder ensures the animals can’t take food chunks out of the food chamber that is weighed. 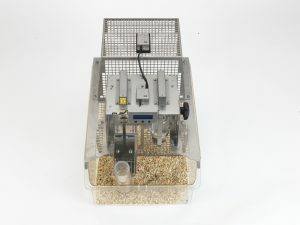 Side view of the mouse system with the food container in front. 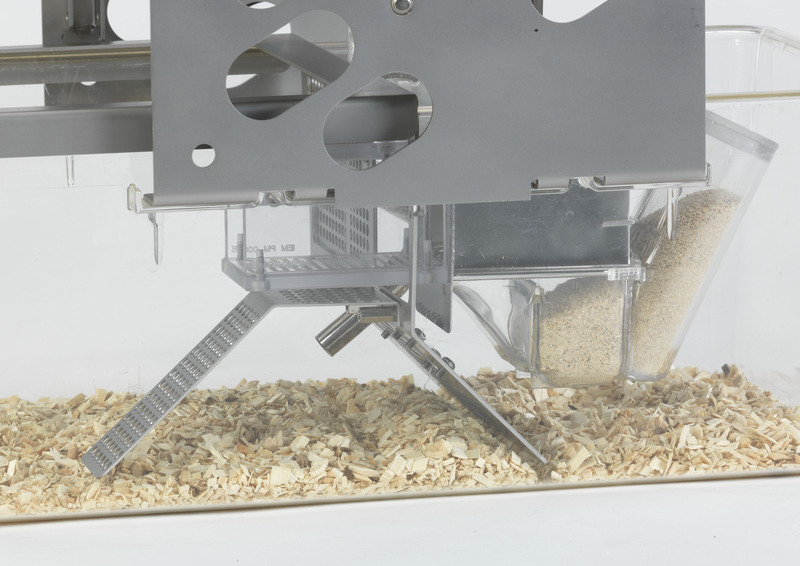 Using pellet powder ensures the animals can’t take food chunks out of the food chamber that is weighed. 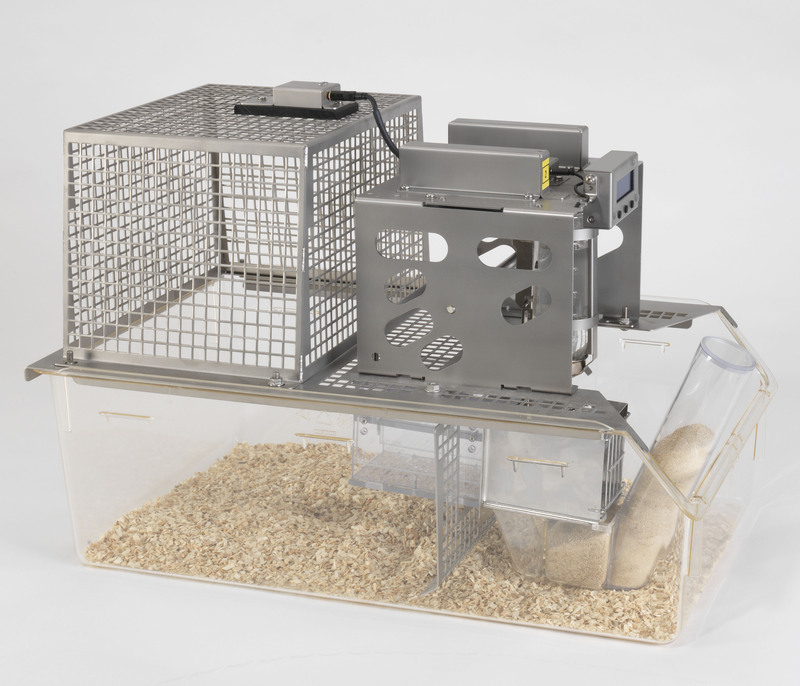 Side view of the mouse system (Typ II L cage). 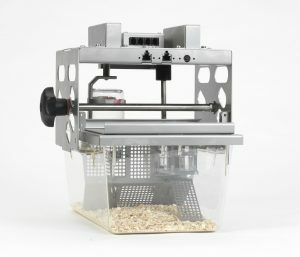 The animal stays on the left side of the cage. Mouse and rat cage Guard systems. 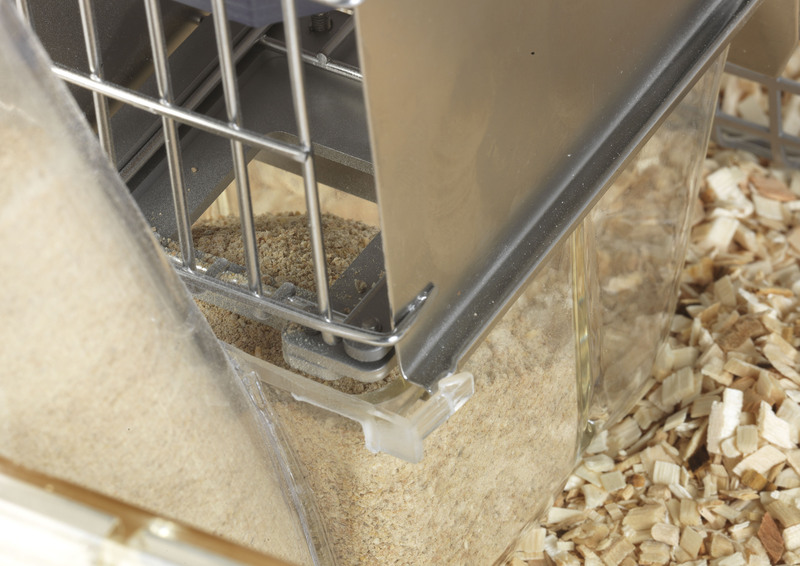 The animal stays behind the vertical lid in the rear part of the cage. 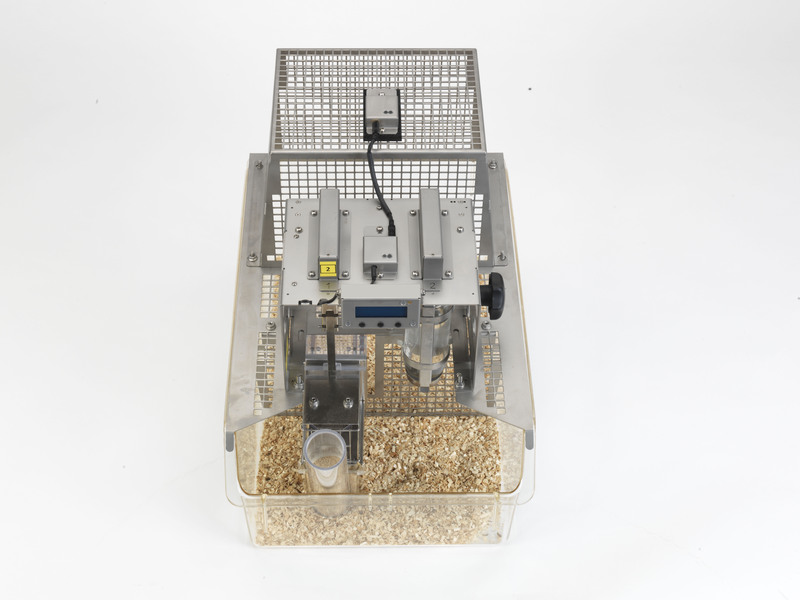 Top view of the rat system. The activity sensor is on top of the lid. 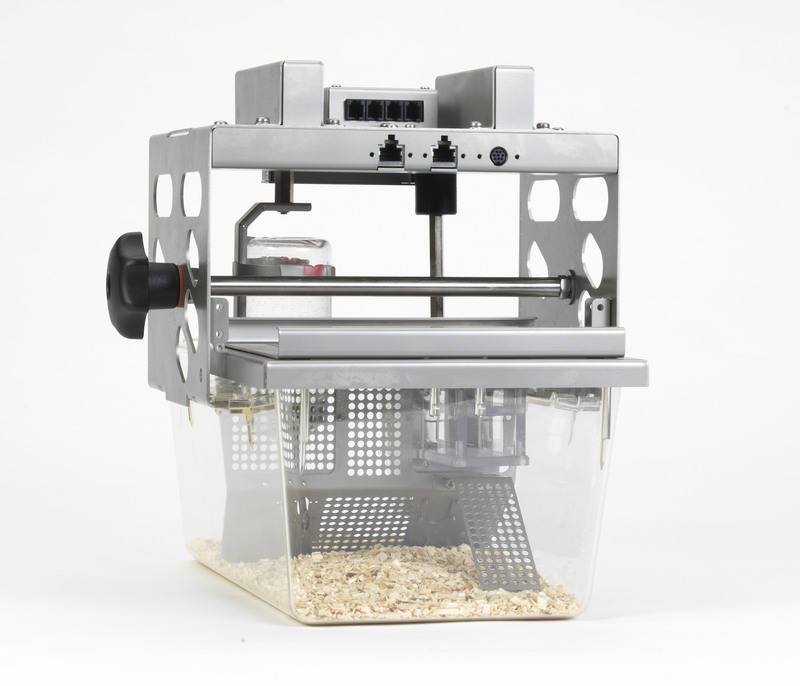 Front view of the rat system. 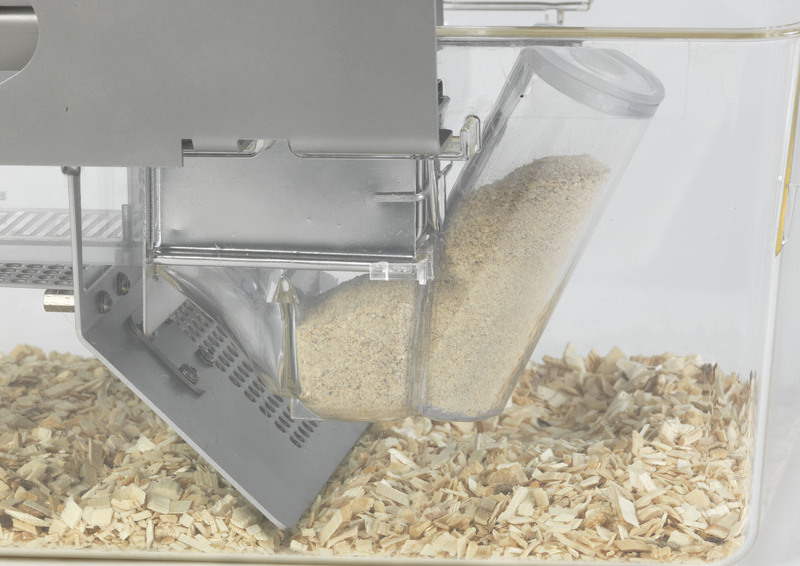 Two high precision scales measure constantly the weight of the bottle and the food container. 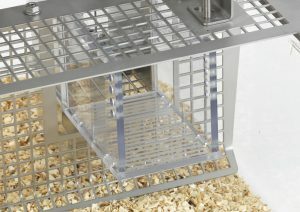 Side view of the rat Cage Guard system. 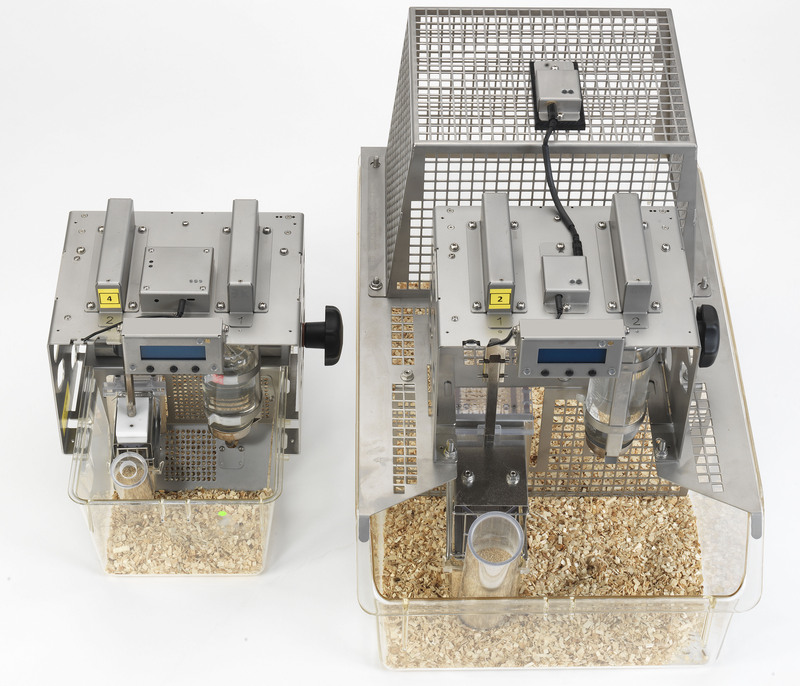 The top unit on the right contains the high precision scales for the feeding/drinking measurement. 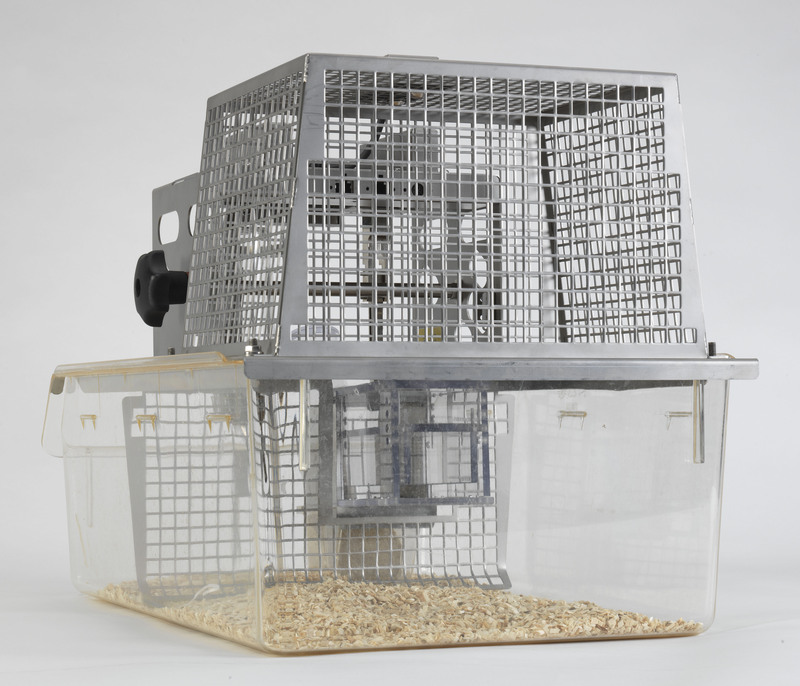 Rear view (home cage) of the rat system. Close up of the food access in the rat system. 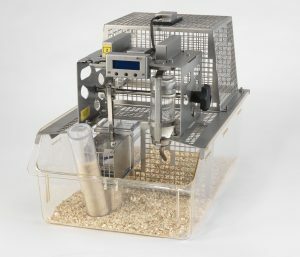 Close up of the bottle and a part of the feeding chamber on the left. 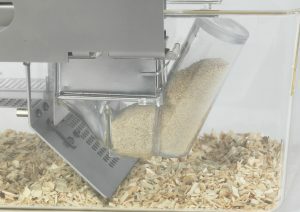 Side view of the food container. 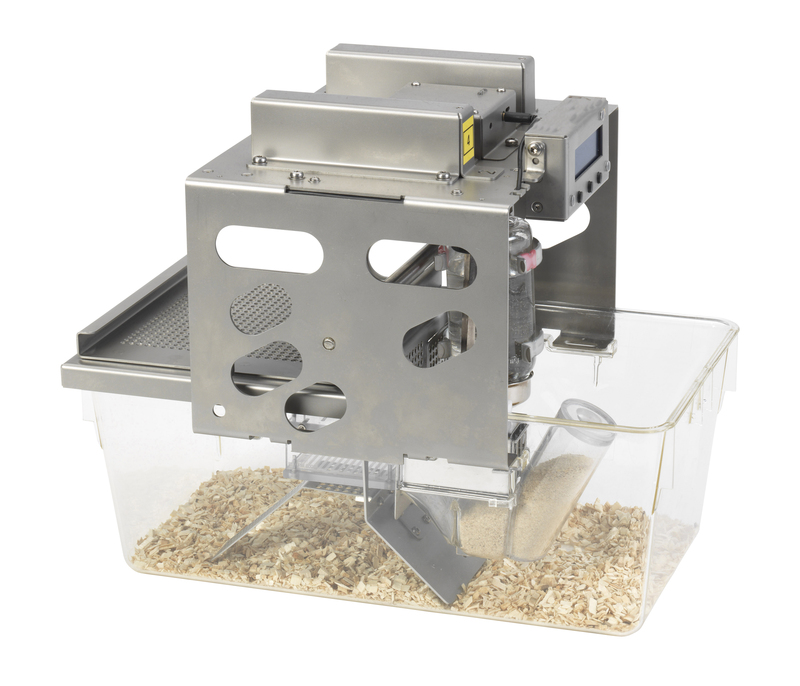 Using pellet powder ensures the animals can’t take food chunks out of the food chamber that is weighed. 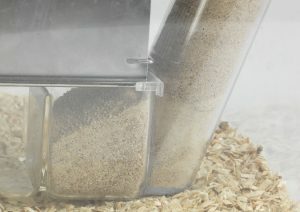 Close up of the food container opening with nutrition powder. 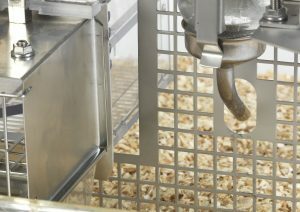 The animals can’t take food chunks out of the container. Whatever falls down during feeding stays in the food container and will still be weighed.